In Isère, between Grenoble and Chambéry, in the Grésivaudan, you are welcome in our guest rooms in the mountain Au Vieux Four à Pain, in La Chapelle du Bard. The old stones and the wood make the charm of this authentic house of the Pays d'Allevard. Your bed and breakfast awaits you in a warm and cozy comfort, for a stop, for a weekend or for a few days of holidays in the Northern Alps. Also, you will find calm, nature and relaxation in this wild mountain, authentic and preserved. Take the time to walk along the pages of our site. You will discover our guest rooms but also a mountain range of the unknown Northern Alps, between the Isere and the Savoie, with the sumptuous scenery of snowy peaks, valleys like that of Haut Bréda, where the pastoral activities are still present in an environment remarkable, charming and mountain traditions in summer as in winter. You will also find a terroir, a pleasure to live here. Join our bed and breakfast in Isère, Au Vieux Four à Pain and enjoy a true home homestay. 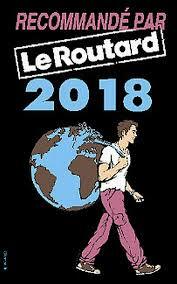 Our guest rooms are recommended by the Guide du Routard 2018 and the French Federation of the Middle Mountaineer. They are also on the route of the GR Country Tour Pays de Allevard and are part of the Fellows of the French Federation of Hiking in Isère. Stage and biker accommodation in the Isère at the crossroads of the great Alpine passes. Your holiday accommodation in the mountains near the ski resorts, Les 7 Laux, Le Collet d'Allevard, the Nordic Area of ​​Barioz. 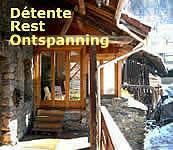 For mountain tourism in Isère, true and respectful An authentic home homestay.